After Friday’s complete and total washout of racing action at the 2018 Melges 20 World League, European Division, Event No. 4, the skies opened on Saturday with Igor Rytov’s Russian Bogatyrs grabbing the overall lead. The first race of the day did not disappoint opening with the success of BRONTOLO, helmed by Forio d’Ischia Champion Filippo Pacinotti and tactician Manu Weiller. 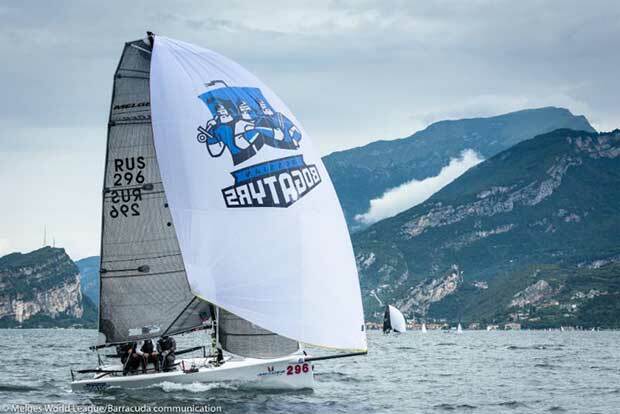 He preceded current European and 2017 Melges World League Champion Rytov in second, followed by Italy’s Stefano Visintin (Matteo Ivaldi, tactician) in third. Pacinotti continued to do well in Race Two, but did not go unchallenged as reigning World Champion Drew Freides on PACIFIC YANKEE (Paul Goodison, tactician) claimed the top prize. Second place went to Pacinotti, while Freides’ fellow countryman Jim Wilson at the helm of OLEANDER had a great race to finish in third (Jeremy Wilmot, tactician). The third and final race on Saturday went to yet another supreme team – Dario Levi’s FREMITO D’ARJA. A very intense fight carried on in the background between Rytov and Jan Kuchar’s ALOHA. In the diminishing breeze all things were stacked in Rytov’s favor, as the course was shortened at the last windward mark giving him his second, second place finish of the day, placing him in first overall ahead by two slim points. Marco Giannini’s SIDERVAL is seated mid-fleet overall and currently leads the Corinthian division ahead of Oscar Farace sailing SESTELEMENTO, followed by Japan’s TEMPUS with Koji Matsumoto at the helm. 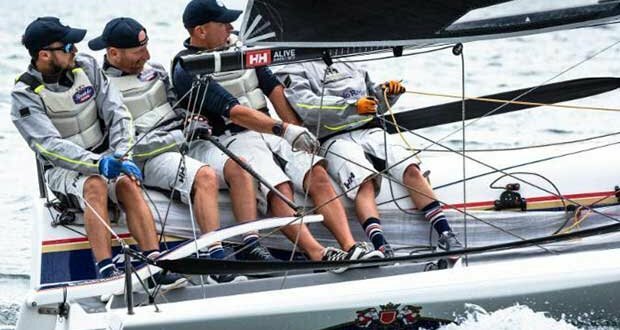 The Melges World League is supported by Helly Hansen, Garmin Marine, North Sails, Toremar, Lavazza, Rigoni di Asiago and Melges Europe, Melges World League has signed and adopts the code of ethics of the Charta Smerarlda strongly promoting the values of One Ocean Foundation.